How to present your home for sale and get more money! 1. No clutter or odours. Your property must be kept clean and clutter-free. Clear and tidy all surfaces. If the property looks clean and smells fresh, prospective buyers will form a positive opinion of your home. 2. Whether it’s an Open House or a private inspection, it is imperative that you are not there. Buyers find it hard to feel comfortable and picture themselves living in the property if the current owners are present. The prospective buyer is unlikely to voice their true opinion of the property and will often rush through the inspection. Needless to say, it makes selling your home difficult. So go shopping for an hour or visit a friend. Let the agent do their job! The Rule of Thumb is – if something needs repair, fix it! 3. There may be several things in your home that you have simply become accustomed to over time – things that you have been promising yourself to attend to. Well NOW is the time. 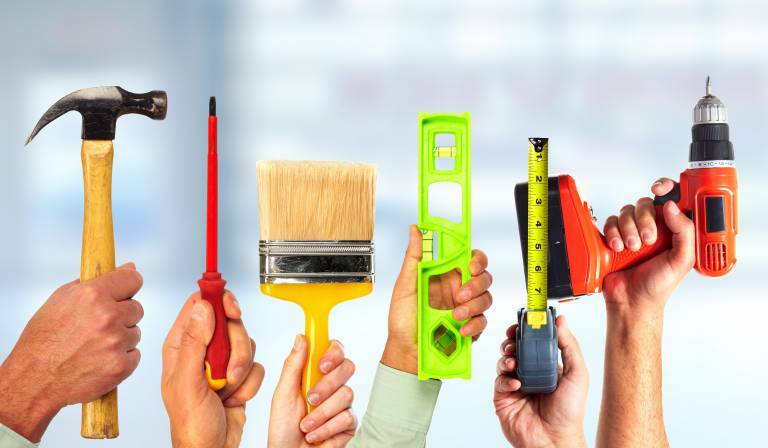 Buyers will mentally add up their perceived costs of repairing all those minor flaws and end up with an amount that is generally much higher than your actual costs will be. You may believe the repairs are insignificant, however the buyer may question the maintenance and upkeep of the rest of the property. Necessary, noncritical minor repairs and perceived owner neglect will either lower the price or lengthen the time to sell. 4. Check all corners for peeling paint, chipped edges and loose wallpaper and repair accordingly. 5. Repair all major problems. In today’s climate of open disclosure and vigilant home inspections, the ‘Golden Rule’ applies: Treat the buyer as you would treat yourself. 6. Every area of the property must sparkle and shine! Each hour spent will be worth the effort. Make it easy for the buyer to want your home. 7. Clean all of the windows, including the laundry and garage. 8. Clean all carpets and rugs. 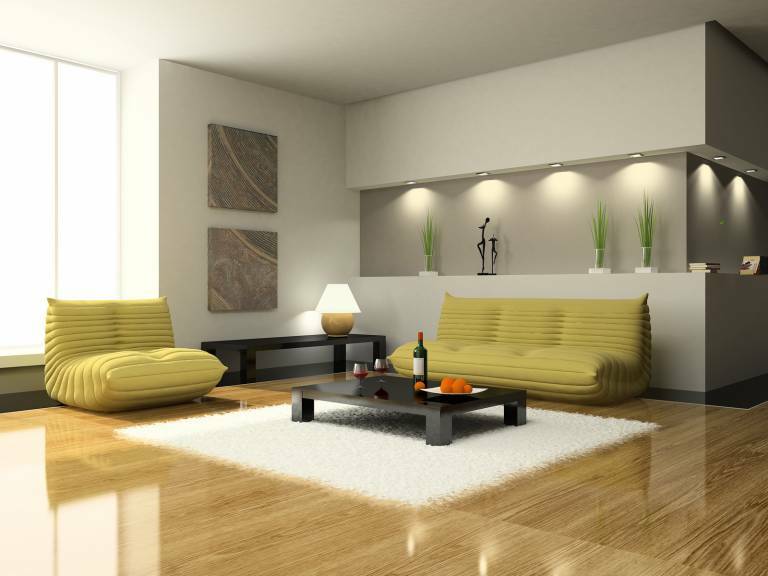 Clean and polish lino, tile and wooden floors. Consider refinishing a wooden floor and filling gaps between floorboards if necessary. 9. Clean and polish all woodwork, paying particular attention to kitchen and bathroom cabinets. 10. Clean all light fixtures. The glass covers of most ceiling fixtures can be made to sparkle by running them through the dishwasher. 11. Clean and polish ceiling fans. Take down and clean exhaust fan covers, as these are dust magnets. 12. Study magazine ads and furniture showrooms to see how small details can enhance the appearance of a room. Simple additions, such as a vase of flowers, an open book on the coffee table, or a basket of logs by the fireplace, can make a room more attractive and appealing. Be careful not to create distracting clutter though. 13. The use of a brightly coloured pillow on a chair or a throw rug on a sofa can add dimension to an otherwise neutral room. Use accent pieces for colour. 14. Soften potentially offending views, but always let light into your rooms. Consider replacing heavy curtains with something lighter. 15. Take advantage of natural light as much as possible – clean windows, open blinds and curtains etc. Add additional lighting where needed. Be sure that all light fittings are clean and have working bulbs. 16. If your kitchen has fluorescent lighting fixtures, use ‘warm-white’ bulbs for a bright appearance. 17. 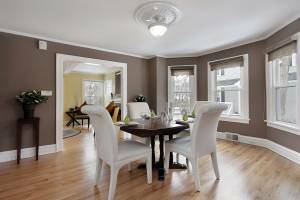 Be cautious about selecting colours when painting the interior walls or replacing the carpet. Your objective is to make your home appeal to the largest possible segment of the market. Ask yourself, “How many prospective buyers would feel able to move into my home with their own furniture and not want to replace the carpet or repaint the walls?” Position your property on the market to be as liveable to as many people as possible. 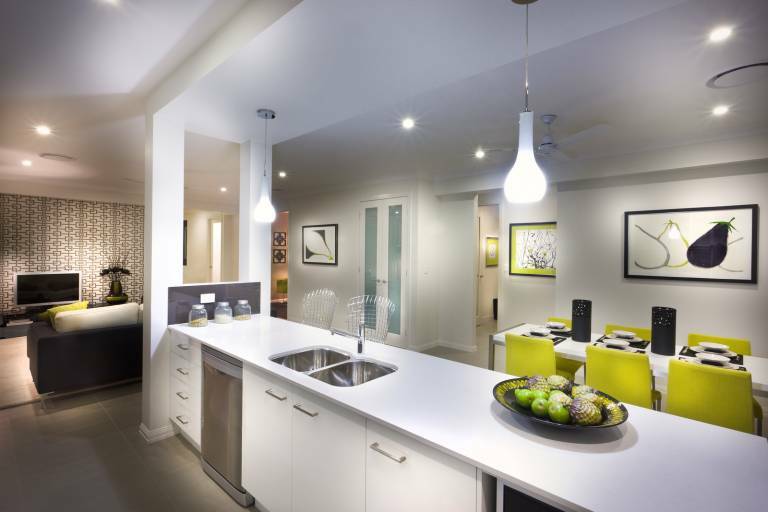 Select a neutral colour scheme that will make it easy for the buyers to mentally picture your home as their own. 18. Sorry, but you will have to put your personal taste on hold. The market is always driven by buyer demand and the average buyer will have difficulty looking beyond the blue carpeting and bold wallpapers. Consider replacing unusual or bold colours with neutral tones. 19. Arrange furniture to give the rooms a spacious feeling. 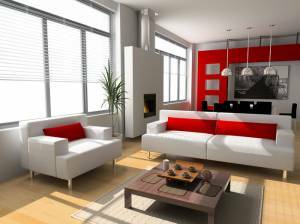 Consider removing some furniture from smaller rooms, or any room that may seem overcrowded. If necessary, put large items in storage. 20. Pack up your collectibles, both to protect them and to give the room a more spacious feel. Leave out just enough accessories to give the home a personal touch. 21. Remove all clutter and make a habit of picking up clothing, shoes and personal possessions for each and every inspection or Open House. 22. Empty cupboards of off-season clothing and pack them away for the move. Organise cupboards to demonstrate the most efficient use of space. Cupboards should look as though there is room to add more. 23. Use light to create a sense of space. All window treatments should be open. Turn on appropriate lights for the showing. Put yourself in a potential buyer’s shoes and consider the overall atmosphere of your home. Keep in mind your sense of smell as you go through the checklist. 24. A clean, fresh-smelling home creates a positive image in a buyer’s mind. Be aware of any odours from cooking, cigarette smoke, pets etc. These may have adverse effects on potential buyers. Remember that some people are much more sensitive to odours than others. 25. You can use products like carpet deodorisers, air fresheners and room deodorisers, but the best strategy is to remove the source of the odour rather than cover it up. 26. Unfortunately, often the only way to remove the smell of pet soiling from carpet is to rip it up and replace it, including the underlay. 27. 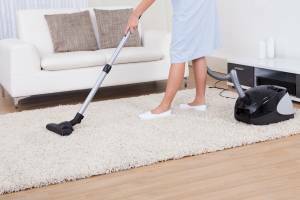 If smoking and cooking odours have permeated your home, have your carpets and furniture cleaned, and air or dry-clean your curtains. 28. Mildew odours can also be offensive. Don’t allow wet towels to accumulate in hampers or dirty clothes to pile up in cupboards. 29. Air conditioning filters can be another source of unpleasant odour. Clean the vent covers and change the filters at least once a month. A high accumulation of dust detracts from the presentation of your home and can circulate odour throughout the property. You may want to consider having the air conditioning ducts professionally cleaned. 30. Once offensive odours have been eliminated, consider adding pleasant scents. Studies have shown that humans have strong, positive responses to certain aromas, such as cinnamon, flowers or freshly baked bread. First impressions count. Don’t let your property’s exterior turn a buyer off before the interior has a chance to turn them on. Check your property’s exterior carefully for any necessary maintenance required. 31. Colour has the power to attract. A tub of colourful flowers on the front step adds a welcoming touch. 32. If you have a front veranda or deck, set the stage with attractively arranged outdoor furniture. 33. 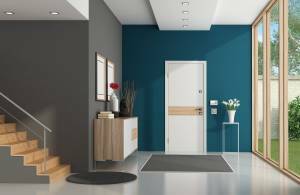 Consider using an attractive welcome mat to greet buyers when they come through your front door. It can also encourage them to wipe their feet and keep dirt from tracking through the property. 34. Check to see that all doors and windows are in good working order. Give special attention to exterior doors. Clean and paint doors if necessary. 35. Replace any broken or cracked windows. 36. Screens should be free of any tears, holes, dust and cobwebs. 37. Inspect all locks to ensure they are functioning properly. 38. Check for loose or missing tiles and clear out gutters and downpipes. Touch up peeling paint on gutters. 39. Check for mildew or stains on exterior bricks or concrete. Power clean if necessary. 40. Remove dust and cobwebs. 41. Ensure the grass is neatly mowed, raked and edged. 42. Prune and shape shrubbery and trees to complement your house. 43. 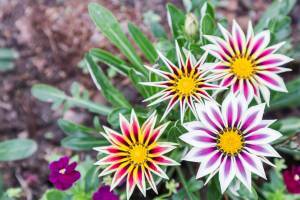 Consider adding seasonal flowers to your garden. 44. Add bark mulch around your shrubs and trees to instantly freshen and renew garden beds. 45. If you have room, set up your badminton or volleyball net to suggest a scene of family fun. 46. It is important to devote at least one area of your garden to outdoor living. 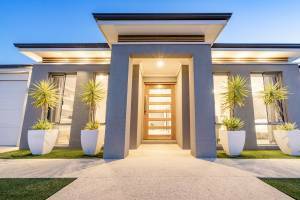 Buyers will respond favourably to a designated outdoor entertaining area. 47. Consider dressing your outdoor setting with a tablecloth, plates and glasses. Bring out the barbecue tools and buyers will almost smell the steak and onions cooking. 48. If you have a wooden deck, ensure the wood is not too faded. A quick coat of stain or paint may be in order. Check your fence for any loose or broken posts and replace any rotted wood. 49. Sweep and wash the driveway and walkways to remove debris, dirt and stains. Remove any oil stains if possible. Repair and patch any cracks, edge the sides and pull up any weeds. 50. The driveway is no place for children’s toys. 51. Study your entry hall and ask yourself what kind of first impression it creates? Dried flowers or a small plant can make a striking focal point on a hall table any time of the year. Virtually any entry hall will benefit from a well-placed mirror to give the illusion of space. 52. Your entry hall flooring will be observed carefully by the prospective buyer. Make sure the surface is spotless and add a small rug to protect the area during showing. 53. An entry cupboard (if you have one) will be the first one inspected, therefore make it appear roomy. Remove all off-season clothing and add extra hangers. 54. Make sure the stairs are safe! Stair lighting should be more than adequate, and the stairs must be free of clutter. 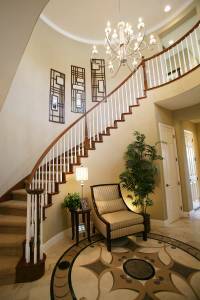 Ensure stair railings are tight and secure and that the runner or carpeting is tacked securely. Check the condition of the walls—re-paint or wallpaper as necessary. 55. If the stairs are a main focal point of the living area, carefully choose accents to improve its visual appeal. Consider emphasising your stairway as a feature by hanging a few pictures along the wall. Draw attention to a feature light fitting by cleaning it to make it sparkle. 56. Sweep and clean the fireplace if you have one. Place a few logs on the grate to create an attractive appearance. You are welcome to have a fire going for showing during the winter months – it creates a great atmosphere. 57. Dress up a mantelpiece, but don’t make it look too cluttered. 58. Improve the traffic flow by removing excess furniture. 59. 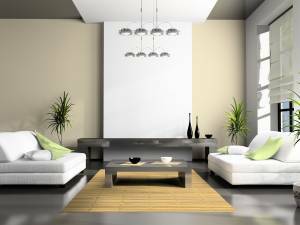 Remove oversized television sets if they dominate the room. If necessary, substitute your television with a smaller one until you move. 60. Draw attention to exposed beams or a cathedral ceiling with special lighting. Be sure to remove any cobwebs and dust. 61. In the heat of summer, place a bowl of lemons or limes on a bench or table to provide a fresh, pleasant aroma. 62. Clean and organise all storage space. If your cabinets, drawers and cupboards are crowded and overflowing, buyers will assume your storage space is inadequate. Give away items you don’t use, store seldom-used items elsewhere and re-organise the shelves. Tidy, organised shelves and drawers appear larger and more adequate for a prospective buyer’s needs. 63. Large kitchen windows should be highlighted as a feature of your home. Take a critical look at the window treatment—is it clean, sharp and up-to-date? Do the curtains need washing or the blinds need cleaning? Would the window area look better without any treatment? 64. Identify any dark corners or areas and invest in a decorative floor lamp to instantly create a warm and inviting space. 65. Visually enlarge a small dining room. If your dining table extends, consider leaving it unextended. You could even consider placing your dining table against a wall if you cannot move around it with ease. 66. Remove any extra chairs. Consider putting oversized pieces in storage until your property sells. 67. Set the table for an informal meal and add an attractive centrepiece arrangement, such as fresh flowers or a bowl of fruit. 68. Avoid clutter. Clear benchtops of small appliances to maximise the appearance of workspace. 69. Check the benchtop around your sink and remove any dishes, detergent, brushes, etc., which may be cluttering the area. 70. Sinks, cabinets and benchtops should be clean and fresh. 71. Appliances (oven, cooktop etc.) should be thoroughly cleaned, inside and out. 72. Clear items from the top of the refrigerator. If you must use this area for storage, conceal items in decorative baskets or bowls. 73. Set the scene with an open cookbook, a basket filled with fruit, a vase of fresh flowers, or a ceramic mixing bowl and wire whisk. 74. Create the aromas commonly associated with happy homes. Bake some cookies, a loaf of bread, or pop a frozen apple pie in the oven. 75. If you have a breakfast bar, set two attractive place settings and place cushions on the stools. Imagine for a moment that you are in the Bed & Breakfast business. How would you decorate the bedrooms to appeal to a paying visitor? Naturally, you would make the beds with your best sheets and quilt. Maybe you would add a vase of flowers or place an attractive armchair in a corner. 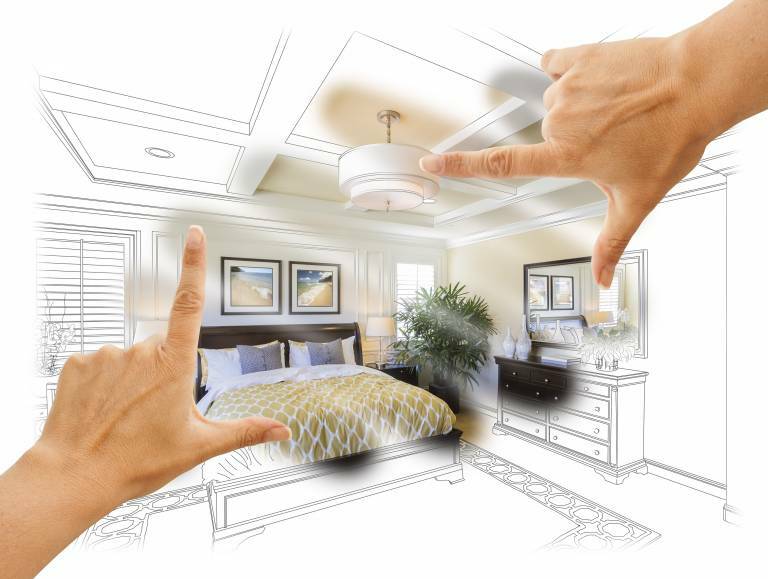 Every bedroom in your home should be inviting to prospective buyers. 76. Spacious master bedrooms are particularly popular among today’s homebuyers. To make your bedroom appear larger, paint the room in a lighter shade, remove excess furniture if the room is crowded and minimise clutter. 77. An ensuite off the master bedroom is considered a real bonus. Decorate the ensuite to coordinate with the colour scheme of your bedroom. 78. Virtually all buyers are looking for a home with plenty of storage space. Make storage areas appear generous and well planned. Remove and store all out-of-season clothing. Remove any items from the floor area – this will make a wardrobe seem more spacious. 79. Ensure wardrobe interiors smell fresh and clean. Hang an air freshener in the wardrobe for a pleasant fragrance. 80. Ensure all wardrobe lights are in working order. Add battery lights to wardrobes that lack built-in lighting, as illuminated wardrobes appear bigger and more attractive. 81. Encourage your children to actively participate in preparing your home for inspection, explaining why this is so important. Ask them to cooperate by making their beds and picking up their things prior to inspections. Consider offering a special reward if they willingly participate in your property-selling goals. 82. Have children pack away any items that are not currently in use and remove unused possessions. 83. 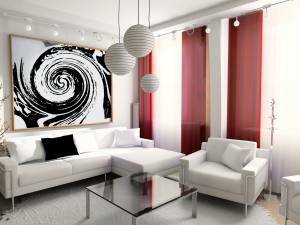 Remove any crowded, unusual or personal wall hangings such as posters and store them until your home is sold. Take special care when preparing your bathrooms for scrutiny. 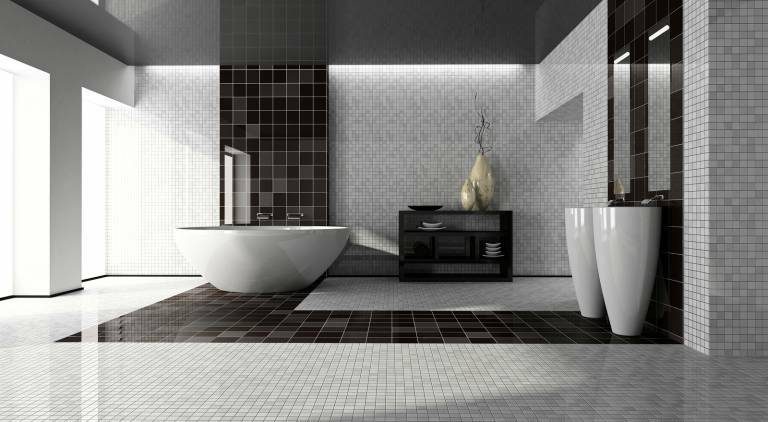 Prospective buyers will inspect your bathrooms carefully, so be sure they are immaculate. 84. Cleanliness is the key! Ensure all surfaces are spotless. 85. Replace worn or dirty shower curtains and clean and repair tiles, grout and shower screens. 86. Clear vanity tops and put away all personal items and products. 87. Repair any taps that leak or do not function properly. Remove mineral deposits with vinegar or a commercial product. 88. Clean and organise all cabinets and drawers. 89. If your bathroom is mostly white or neutral, add a touch of colour with towels. Don’t hesitate to buy a few new towels and a rug to create added appeal. After all, you will be taking these items with you to your new home. 90. Carefully clean the floor. If it is old or very worn, cover the largest area you can with a clean, attractive rug. 91. Decorate your bathrooms with your best towels and consider putting out some perfumed guest soaps. 92. A gentle hint of fragrance in the air is fine, but keep it subtle. 93. Add a fresh coat of paint in a neutral tone. 94. Organise all cupboards, shelves and storage areas. 95. Remove all dirty laundry. Keep up-to-date with your washing or store all dirty laundry in a closed hamper. 96. Ensure the ceiling is clean and free of mildew or mould. 97. Sweep and wash the floor to remove dirt and stains. Organise tools, gardening equipment and bicycles, etc., as a clean, organised garage always appears more spacious. 98. If the area is dark, add more light. 99. If your garage is small and accommodates only one car, remove it before buyers visit. An empty garage always looks larger. 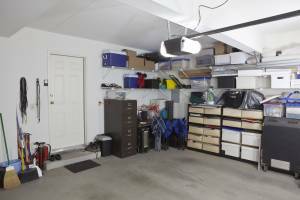 If you have a two-car garage with very little extra room, remove one of the cars prior to an inspection. 100. If your garage is appropriate to use as a recreational area, consider setting up your table tennis table and hanging some bright posters. Doing so will instantly transform the space into a teenager’s retreat. 101. Clear and organise the workbench in your garage and draw attention to it with good lighting as a sales feature.